Mrs. Jackie Rhone is currently serving as an Executive Director and oversees the real estate strategic services group within Greystar which has reporting responsibilities for the owned asset portfolio. This includes stabilized assets, new construction and value add opportunities in 35 states. Ms. Rhone attended Sam Houston State University and holds both the Certified Property Manager (CPM) designation through the Institute of Real Estate Management as well as the Certified Apartment Property Supervisor (CAPS) designation from the National Apartment Association. 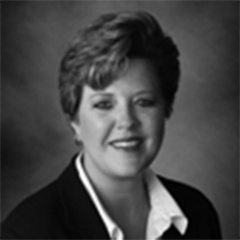 She is a previous recipient of the Houston Apartment Association Industry Achievement Award for both the Property Supervisor of the Year as well as the Owner/Management Executive of the Year as well as the prestigious Frank P. Finch presidential and Rita Kirby Regional Property Manager of the Year Award from the Texas Apartment Association. She currently serves as the President of the Texas Apartment Association. Jackie resides outside of Houston and is married to Mark and has 3 children.